And if no other misery, yet age ! 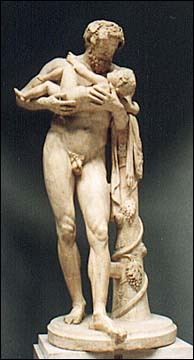 Statue of father and son. Vatican Museums. ©1999 A. Jokinen. New York: F. S. Crofts & Co., 1941. 498. Copyright © 1996-1999 Anniina Jokinen. All Rights Reserved. Violators will be prosecuted. Created by Anniina Jokinen on September 4, 1999.